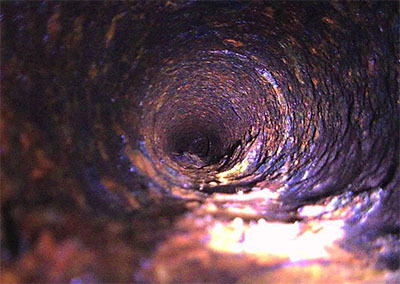 PIPE EXPLORERS, LLC Video Inspection Technologies (VIT) are unsurpassed in enviromental applications. 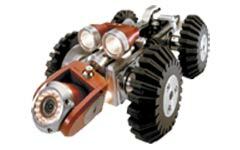 Our robot cameras deliver the results you need! PIPE EXPLORERS LLC use the most advanced technologies in Video Pipe Inspection equipment to record Industrial, Municipal and private pipe systems. Significant savings are realized when you employ our Visual Inspection Technology (VIT) service to 'work smart' on any project involving pipes or conduits. Video inspections are conducted by our experienced field techs using sophisticated robotic and other cameras to produce immediate, clear, accurate reports, DVD recordings of pipes and detailing general and specific observations of all areas. Included with this service, the client is provided with printed reports and cross-section diagrams detailing conditions and defect locations in pipe ranging from 1 to 60 diameter. We'll help you ELIMINATE THE GUESSWORK!! Most Advanced Pipe Inspections to Cities and Towns, Engineers, Contractors, and Property Managers throughout New England. Serving some of the largest civic and private organizations in the Northeast for over 16 years, we continue to explore hundreds of miles of pipe from remote farmland to inner cities, all on time and with guaranteed results. We Provide FAST Affordable Answers to Costly Questions! First time clients receive a 10% discount on initial service. Trenchless Technology Solutions: First Step-- Pipe Inspection. There is a tremendous need to rehabilitate sewer and water lines. There are over 1.2 million miles of sewer pipe and approximately 880 thousand miles of water distribution pipe in the United States alone. Most systems were designed with a 50 to 100 year lifecycle and the majority were laid shortly after World War II. Public and private agencies responsible for these infrastructures are pressed to prevent failures and service disruptions while minimizing maintenance costs. This can only be accomplished through efficient planning that concentrates focus on those areas that face the most need. Trenchless technology sewer inspection services provide measurable data that allows agencies to better understand the state of their current systems.